Address : 8, Tsamadou Str. The unique Boutique Hotel on the port of Piraeus. Right on the port, in one of the best parts of Piraeus, since 1963 located in the heart of the shopping center, the banks, the shipping companies, the Metropolis of Piraeus and the Catholic Church. 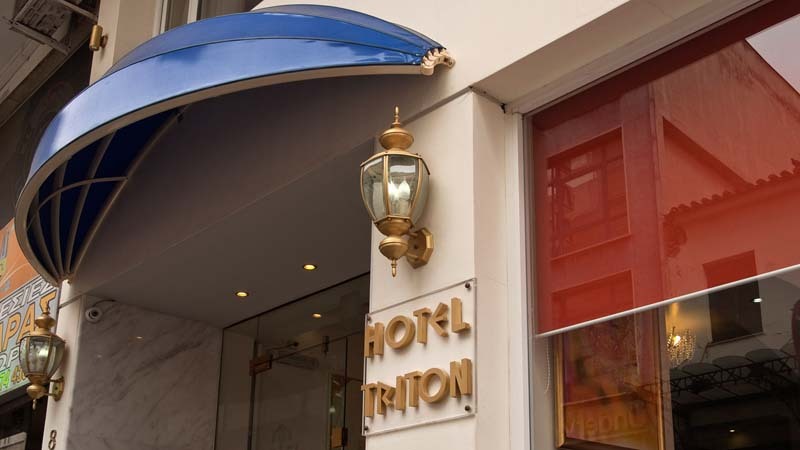 The hotel Triton consists a perfect choice for a short stay for those who want to have access to the islands as long as for a long stay for those who wish to find themselves in the business center of Piraeus. The discreet luxury, exquisite design, modern comfort in harmony with the unparalleled service will offer you unique and unforgettable moments of pleasure. One of the major advantages of the location is that it is just a few steps or minutes away from the train station which offers access to Athens, the Suburban railway with access to the airport and the bus station where you can take the bus line X96 to the airport. The luxury and comfort of the hotel rooms will earn your approval from the first moment that you see them. The fully renovated and renewed spaces will impress you and give you the feeling that you are at home. Our exceptional and helpful staff is there to grant your every wish. 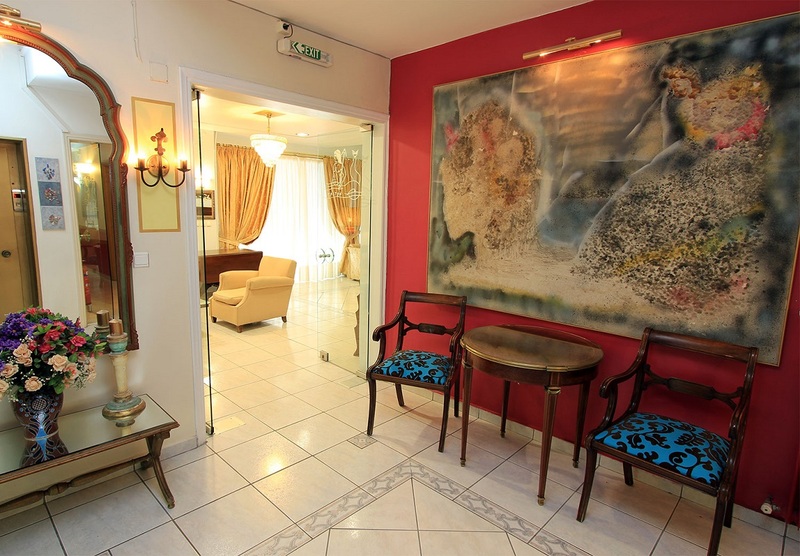 The hotel facilities and rooms are defined by their amazing details, individual paintings and works of sculpture. Every floor has different colours, ranging from absolute white to deep orange. The reception room is decorated with chandeliers and impressive paintings, which transform the place into a small gallery. 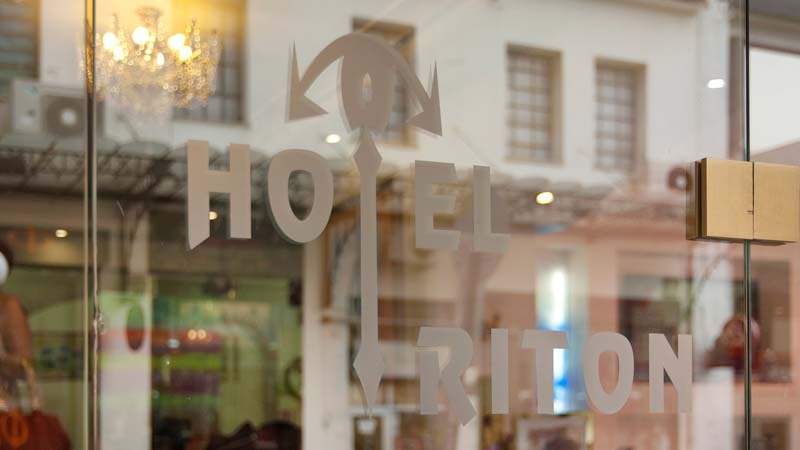 After this radical renewal, Triton Hotel has become an ideal destination and the perfect choice for a pleasant stay, offering its guests luxury in a warm family environment, as well as frequent, immediate access to the islands via the nearby port, the market, the banks and public services. It is only a few metres away from the train station, hospital, Piraeus Cathedral of Agia Triada, a catholic church and the local bazaar. 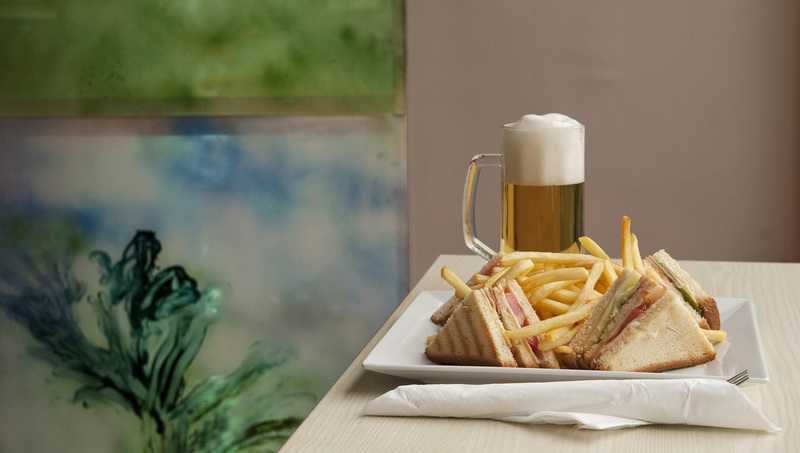 The breakfasts are made of the finest materials with the traditional and famous Greek recipes. 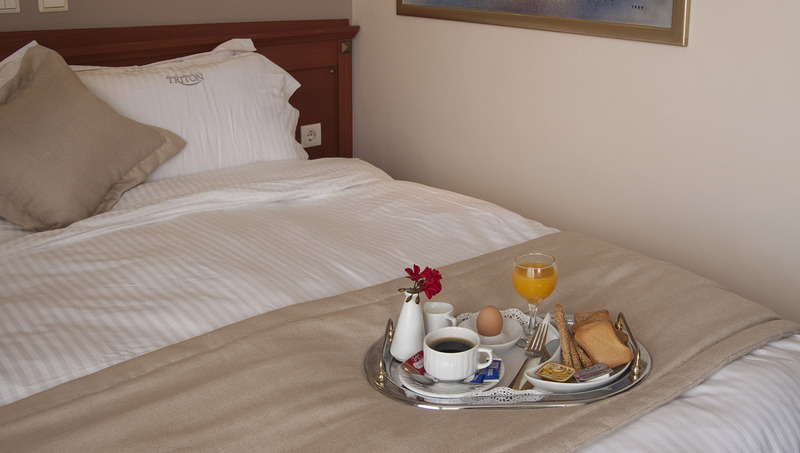 They are served in your room or in the hotel\'s main hall, which has a view of Piraeus Market. Do not forget to taste our traditional delicacies. 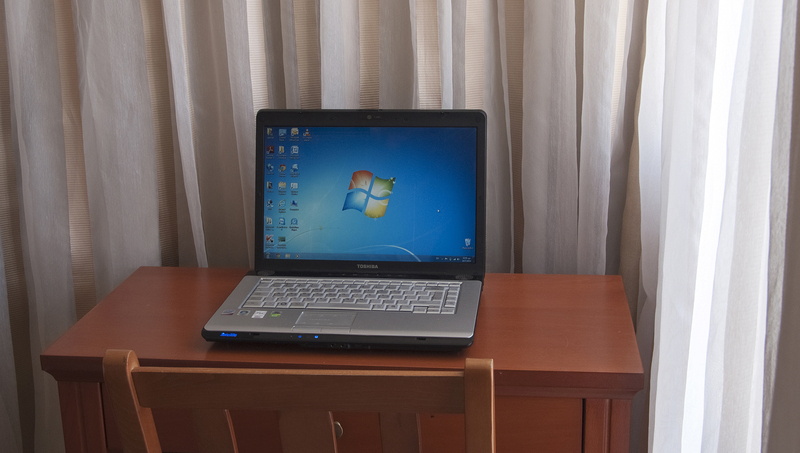 Our friendly rooms welcome you with lovely and tasteful decoration. Colour TV, central heating and an immediate external telephone connection offer all of the comforts for pleasant stay. 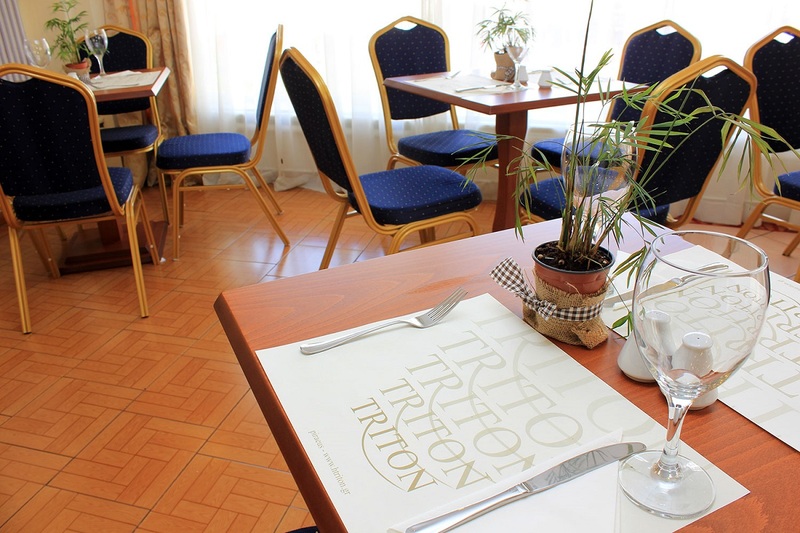 If you are familiar with TRITON HOTEL, please share your opinion of it with other travelers. Write a review!